Royal Castle is the most sought after premium apartments in Chennai, in which the homes are meticulously built in a world-class style that matches the every needs of the common human living. Another unique feature of our residential project is the architecture that makes the occupants to experience like living in an empire. Situated in a tranquil environment, the gated community residential project is surrounded by the lush greeneries and water bodies which are very difficult to be found in the other major places of the metropolis. The peaceful atmosphere will ease off the stresses of the residents of after the hustle and bustle day schedule. Thus, if you are looking to buy apartments, it’s an ideal choice to prefer our premium range of apartments for sale in Chennai. At our residential apartment project, the residents can avail numerous ranges of world-class amenities which are not found in all the integrated townships. The occupants can get their essential needs at their doorstep that will make their living very comfortably. The range of amenities available includes swimming pool, jogging track, fitness clubs, kid’s play area and more. If you are the home seekers who prefers the modern living with grandeur lifestyle, our premium range of apartments for sale in Chennai has all the qualities to match your preferences. 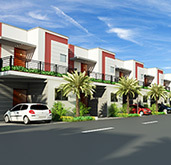 Looking for Apartments in Chennai for Sale with Great Advantages – You are at the Right Place! Being located conveniently with all the installations in the gated community, our residential apartments are available at fair cost. When comparing to the apartments for sale in Chennai that are located in the major places, the price of our residential apartments is relatively less. However, it doesn’t imply that the area doesn’t have any advantages for the property investors. Located strategically, the area has good connections to the major places of Chennai through both rail and bus transportation. Further, our apartments in Chennai have close proximity to the IT hubs and major manufacturing companies. As a result, the demand of buying a property in this locality will even increase in the time to come. Moreover, the rental demand is also high in this area, as the IT professionals working in the IT companies prefer to rent a residential apartment to make their travelling easy. Therefore, the property investors who are buying our residential project can gain more profit by renting their apartments. Further, the capital appreciation will also be ever increasing in the locality, as there are heaps of commercial and infrastructure developments in the grapevine. If you are searching for the best apartments for sale in Chennai with enormous advantages, our residential project would be the perfect choice. 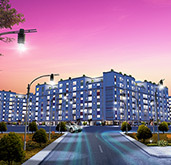 Located very close to Grand Southern Trunk (GST) road, the gated community is also well connected to Outer Ring Road, Inner Ring Road, National Highways and State Highways. Further, our apartments for sale in Chennai are surrounded by the day to day essential needs like educational institutes, hospitals, shopping malls, recreational centers and more. Another highlight of our residential project is the potable water, as the gated residential area is fenced in by the water bodies. Therefore, there will never be a water scarcity in the locality. Ultimately, this is the major reason why we chose this location for constructing our residential projects. Also, the residents can experience the pollution free environment which can’t be found in the apartments in Chennai for sale. These unique features make our residential apartments as the trending projects in the city. 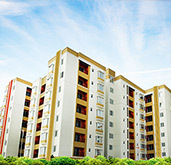 While planning to buy apartments in Chennai, the home seekers will always choose the best. Thus, our residential project is meticulously built with the unique qualities to exceed the expectations of the home seekers. Further, the property investors can have multiple choices while buying an apartment from our residential project, as we have different types of apartments for sale in Chennai that has unique features and spaces according to their budget. 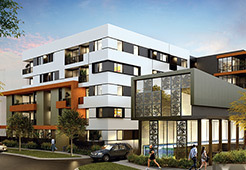 Right from furnished apartments to compact homes, the property investors can find their appropriate dwellings. Another major aspect that the home seekers will prefer while choosing their home is the transportation facility. Our residential project is situated in the locality that holds frequent transportation through both roadways and railways. Likewise, the Chennai International Airport is just a few kms away from our residential apartments. 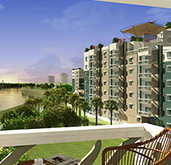 Searching for the best apartments for sale in Chennai? Our residential project is the one stop destination buying your dream home.